Sahara is a NightStar, part of the strong clan of F-Psy who forsee events to come. She is only a sub designation B, with the gift of backsight. But she has another talent, so powerful no one knows of it. Except her captor. Held hostage for seven years and forced to use her power to benefit her kidnapers, she created a labyrinth in her mind to escape to so complex no one could breach it. Then she was rescued from her prison. Kaleb Krycek is the youngest member of the Psy Council. Icily ruthless, he is an extremely dangerous and powerful Tk. He’s been looking for Sahara for years before he teleports her to his fortress-like home in remote Russia. Kaleb’s motives are shrouded in mystery; does he want Sahara in order to gain control of her power or is there a deeper connection? I knew it! The answer to a question was what I thought and it was so obvious! A lot of questions are answered and some storylines wrapped up, while others remain a mystery and new possibilities for the Psy/changeling/human world are opened. The plot was tightly packed with lots of action, chilling motives of fanatics, and the steamy hot love scenes Nalini Singh writes so well. The pace moved well with events neatly flowing after each other, and the different points of view were easy to follow. There was also a HEA. A must read for fans, this story can be read as a standalone. I strongly recommend reading the rest of the series first though, mainly to enjoy the backstories of this compelling world. Parental discretion is advised due to the passionate love scenes. Jason is .a spymaster, an angel and one of Raphael’s Seven. Very good at remaining unnoticed, he has the ability to merge into shadows. Flashbacks to a tragic event in his past help you understand why he doesn’t trust easily and is remote. The daughter of Nivriti (Neha’s sister) and Eris, Mahiya was raised by Neha, the Archangel of India, who saw her as a constant reminder of her husband’s betrayal. Used as a whipping boy for centuries, Mahiya has remained strong and managed to fool everyone into underestimating her. Now Eris is dead, Neha has no need to keep her alive to torment him with her presence. 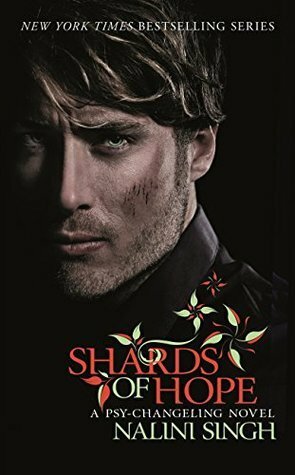 This book takes place directly after Archangel’s Blade and it is at the wedding of Dmitri and Honor that Jason discovers that there has been a murder. Eris, the Consort of Neha – Archangel of India, has been savagely murdered. Jason is asked by Neha to investigate – as long as he swears a blood bond to her first. The only available person is Mahiya. Stuck with each other, they begin to investigate Eris’s murder, and then more bodies turn up. Along the way, Jason discovers Mahiya has an incredible strength of character, as well as plans of her own………. A real who-dunnit with lots of steamy scenes, this is an exciting read with strong characters. We also get to follow Dmitri and Honor as she is made. 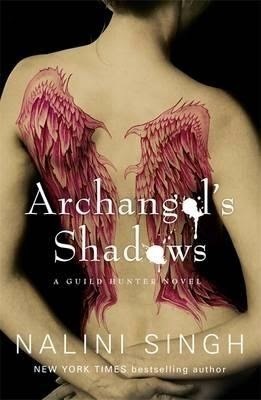 Not my favourite in the Archangel series, which may have something to do with Neha being the Queen of Poisons and snakes are everywhere, this book is an interesting read. Adria is a Snow Dancer soldier who has returned to the den after the messy end of a long relationship with a less dominant wolf. Riaz is a Snow Dancer lieutenant whose chosen mate, Lisette, is human and in love with her husband. The immediate attraction the two feel toward each other is red hot and sizzling. There are many very steamy scenes that are R18. Adria is not Riaz’s mate though. There is some doubt they can have a future together. 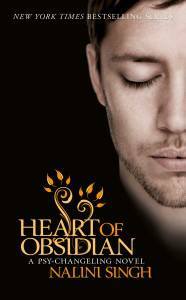 Adria is afraid to fall in love with Riaz, as his heart belongs to another. The scars his uncompleted mating bond leave begin to heal though, and Riaz works hard to convince Adria he has no more interest in another woman and she is his choice. Then Lisette appears as the liaison for the Changelings with the Human Alliance. Hawk and Sienna have a big role in the book, with their relationship being explored more. Other familiar characters also return; Lucas and Sasha, Vaughn and Faith, Judd and Brenna. There’s a tightly woven plot that raises a lot of questions to be answered latter in the series (I hope). I’m really looking forward to finding out more about Kaleb and the breaking of Silence the Psy are experiencing. I also really want to read Vasic’s story. This is not a standalone story, you need to read the other ten Psy-Changeling stories to understand this world, or at least the preceding Kiss Of Snow to get a sense of what is happening. Sasha Duncan is a Psy, a race devoid of emotions. The problem is Sasha feels emotions and she is terrified that this will be discovered. And she should be scared because if she was discovered she would e put through ‘rehabilitation’ a processes that removes all traces of who she was and “reprograms” her into the “perfect” Psy. On the complete opposite side of the fence is Lucas Hunter, a Changeling. A being who is full of emotion. These two races are on the verge of war over the brutal murders of a few Changelings women. Can they work together with there entire worlds unravelling? I liked the overall storyline and the concepts of the Psy and the Changelings. But I felt that the story was rushed. Having said that when I got into it the story it was good. This was my first time reading Nalini Singh and I would read another of her books. Find Cindy here for more reviews and writings.